the students will learn different rules and formation of different sentences using present continuous tense. 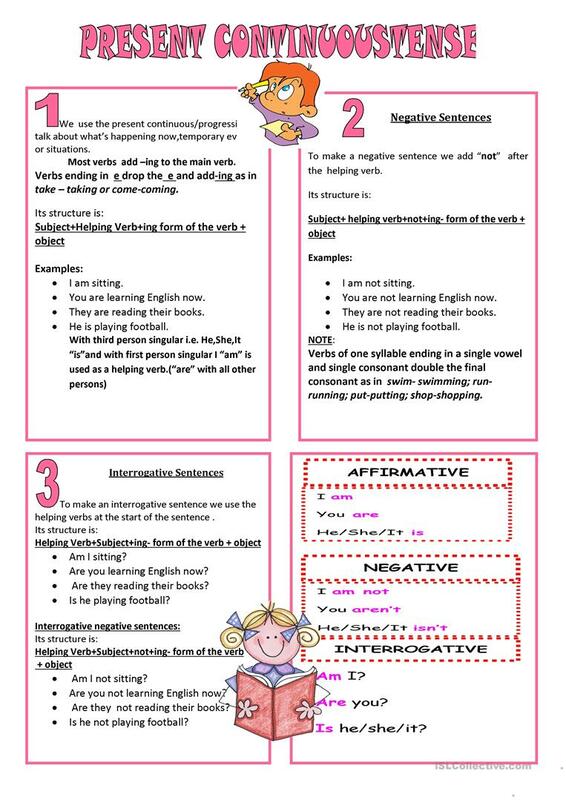 This printable, downloadable handout is meant for elementary school students at Elementary (A1) level. It is great for teaching in English, and is excellent for enhancing your learners' Listening and Reading skills. It centers around the vocabulary topic of Actions.